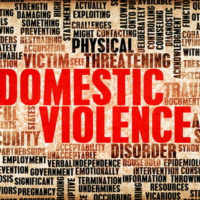 What Qualifies as Domestic Abuse in Maryland? As should be fairly clear from this list, it doesn’t take much to qualify as domestic abuse. Theoretically, something as small as a shove or locking someone in a bedroom could be construed as abuse and subject a person to Amber’s Law. Hence the need for legal representation from the very start. How Does Amber’s Law Work? HB1163 (nicknamed Amber’s Law) was signed into law last year and became effective on October 1, 2017. This law allows domestic abuse victims to ask a judge to order the suspected abuser to wear a GPS-monitored tracking device (ankle bracelet) at all times, pending trial. The victim must prove to a judge that there is probable cause for the issuance of such an order, but it is not necessary that the suspected offender actually be convicted of the crime. This means, if a victim can provide sufficient evidence to convince a judge that a person is a serious threat, the suspected offender could be subjected to this highly intrusive monitoring device that alerts the police if he comes too close to the victim. The law is pretty broad when it comes to potential evidence. Judges get a lot of deference in making these determinations, but ultimately the question is whether the person seeking the order can present enough evidence of domestic abuse to warrant this extreme measure. While there is a potential for government overreach, support for the program is overwhelming. If you’ve been accused of domestic abuse in Maryland, you need aggressive and skilled legal representation from an experienced domestic violence lawyer. Your career, financial stability, and personal freedom are all at stake. Sadly, although Amber’s Law was passed with bipartisan support and has the potential to save a lot of lives, there are also those people who would make false or exaggerated claims to use Amber’s Law as a weapon in a divorce or custody case or as a form of revenge in a break-up. If you’ve been accused of domestic violence, remember that the accuser must still prove probable cause to get an order for GPS monitoring. You have a right to due process, notice, and the opportunity to present evidence at a hearing. Contact the Law Offices of Todd K. Mohink, P.A. today to schedule an initial consultation to discuss your case. Do not take on your accuser and the prosecutor by yourself.